Letter-size paper lets you print letters, greetings, imprintable invitations and announcements from your printer. 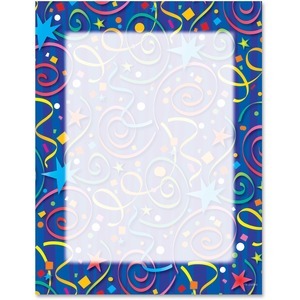 Star confetti design makes a lasting impression with a fun border. 24 lb. quality paper is compatible with inkjet and laser printers.